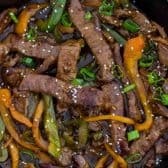 This delicious Pepper Steak recipe is a classic Chinese American dish that you can easily make at home in just 30 minutes or less. 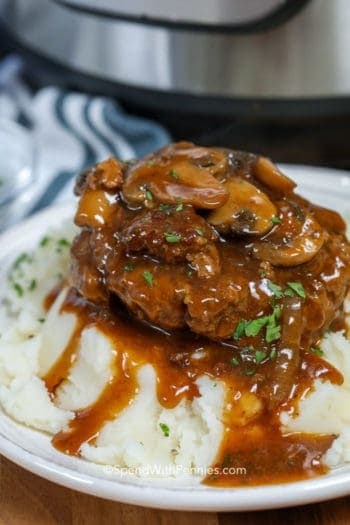 Pepper Steak is such a quick and easy recipe. 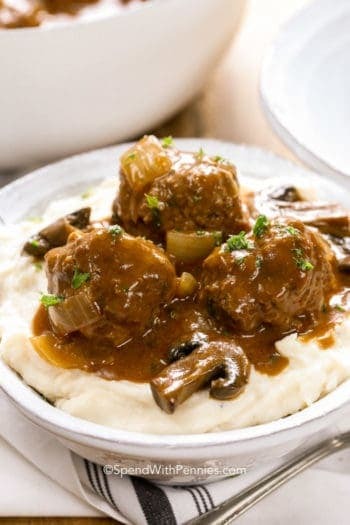 Anytime you need a fast meal, and I mean way, way faster than it takes to order take-out, this recipe is a great option. 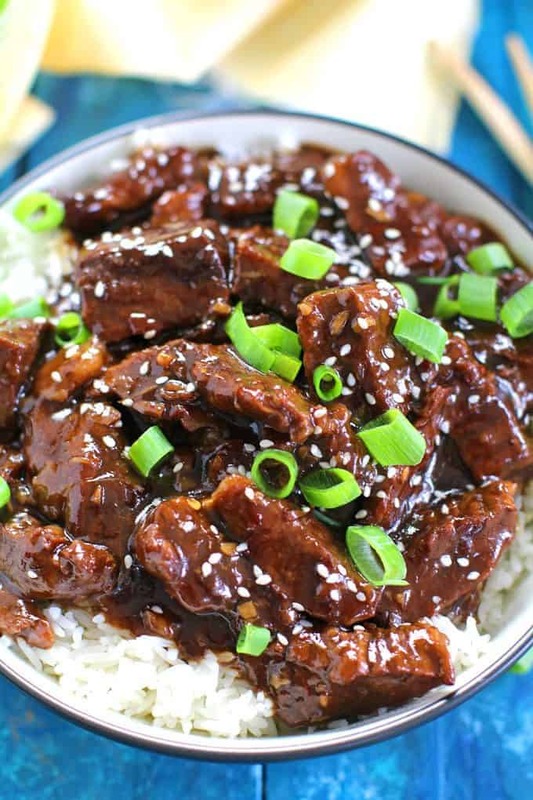 It’s made with juicy beef strips, cooked in a sticky sauce with sweet bell peppers and is great served over rice, pasta or with just a simple salad on the side. When you have a thousand things to juggle in the evening, a complicated dinner is out of the books. This easy Chinese Pepper Steak is ready in less than 30 minutes, minimal dishes to clean and a warm, delicious dinner on the table. If you have time to marinate the beef in advance, even better! 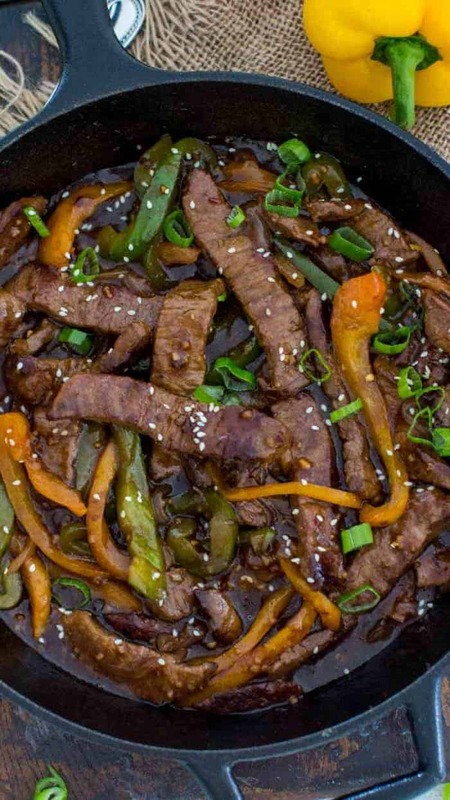 As much as we love Mongolian Beef, we love to switch it up sometimes with this pepper steak. We often serve it over white rice or fried rice with Homemade Crab Rangoons (they have been shared over 700k times!!!!) or Crispy Homemade Egg Rolls. If you’ve wondered how do you make beef pepper steak, I’ve perfected how to cook pepper steak on the stove in one pan! 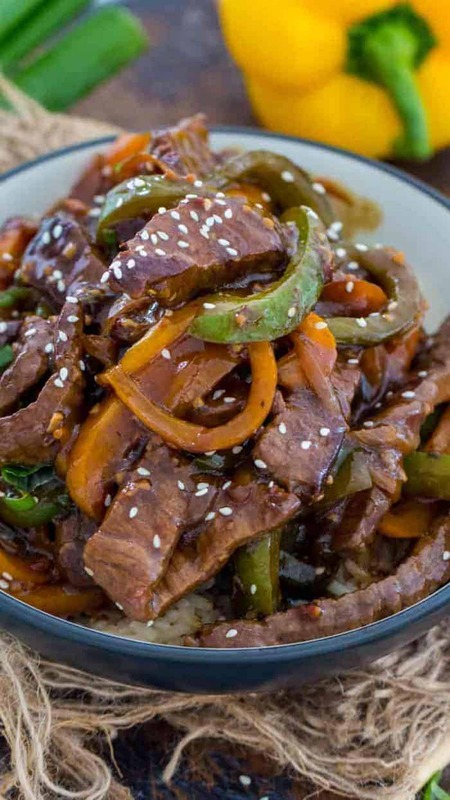 Pepper steak is a stir-fried dish made with sliced beef top round steak and sliced bell peppers. 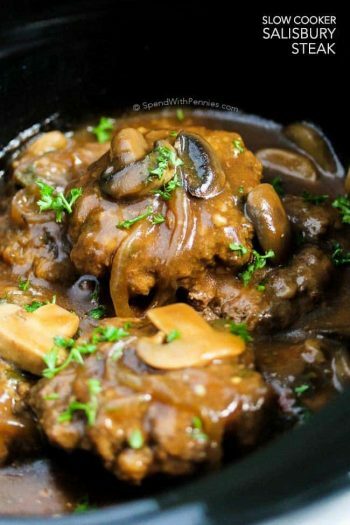 It is cooked in an Asian pepper steak sauce usually thickened with cornstarch. 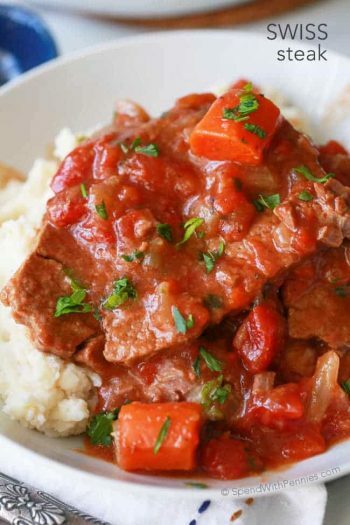 Beef – Pepper Steak is usually made with top round beef steak that you need to cut into strips against the grain. Bell Peppers – the recipe is usually made with green peppers, you can also use red, yellow or orange. 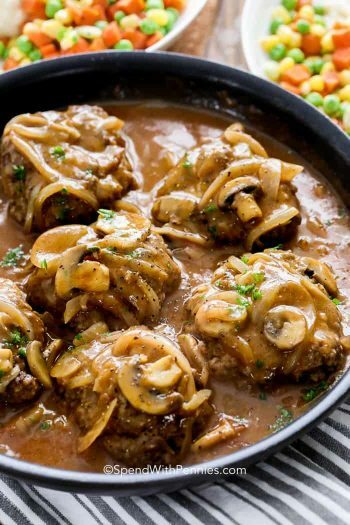 Sauce – to have the most flavorful and delicious sauce, use freshly minced garlic and ginger. As well, you will need soy sauce, Worcestershire sauce, Mirin and honey or sugar to add some sweetness. Red Pepper Flakes – add more or less, depends how spicy you like your food. Cornstarch – cornstarch and water is added to the sauce to thicken it. Green onions and sesame seeds – great for garnishing the dish before serving. What cut is Pepper Steak stir fry? 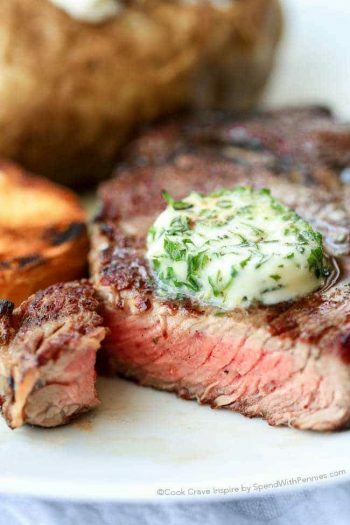 The recipe can be make with flank steak, sirloin, or top round steak. If you slice it in the same direction as the grain, the meat will come out tough. While if you slice it against the grain, you shorten the muscle fibers, which results in tenderizing the meat. Light Soy Sauce – if you are sensitive to salt, as regular soy sauce can make the dish too salty. Mirin – is a Japanese sweet rice wine, if you don’t have it on hand you can make a similar version by combining 2 tablespoons of sugar with 1/2 cup of white wine (like vermouth or dry sherry) to replace 1/2 cup of mirin. Cornstarch – it is widely available in supermarkets. If you are looking for a replacement, tapioca or arrowroot powder are good alternatives. Chicken Pad Thai – Quick takeout at home! Shrimp Stir Fry with Zucchini Noodles – Low Carb! Chicken and Broccoli Stir Fry – Family favorite! 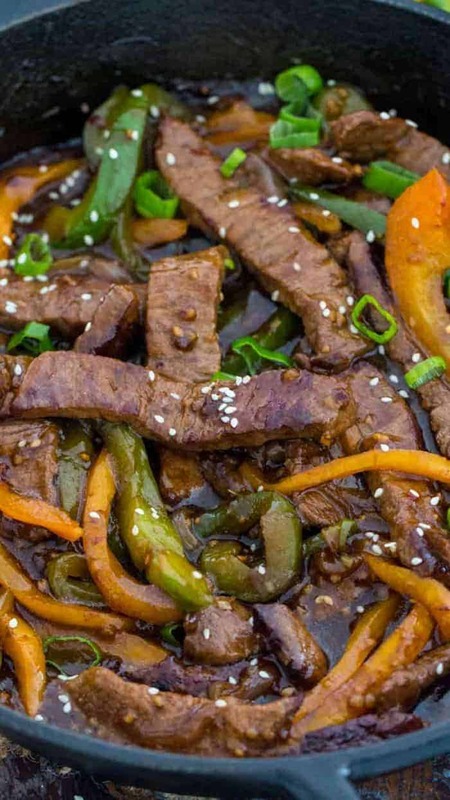 This delicious One Pan Pepper Steak recipe is a classic Chinese American dish that you can easily make at home in just 30 minutes or less. Add all the sauce ingredients to a medium bowl and whisk to combine. Set aside. 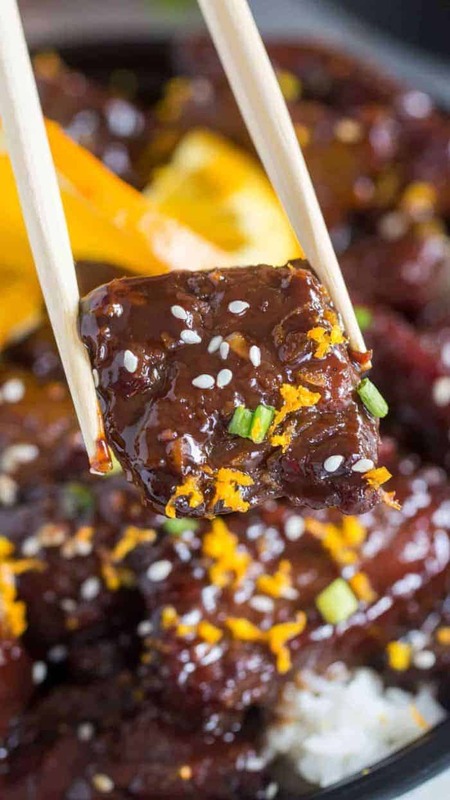 If you have time to marinate the beef for a few hours, whisk all the sauce ingredients except the cornstarch. Add the beef strips to a freezer bag and pour the marinade over it. Refrigerate for up to 24 hours. When ready to cook, remove beef from marinade, add liquid to a bowl and whisk in cornstarch. Heat a cast iron skillet or wok over high heat and add 2 tablespoons of oil. Once the oil is hot, add the sliced onion and peppers and stir-fry for about 5 minutes, or until tender. Transfer to a plate when finished. Add beef to the skillet and distribute evenly, cook for about 1 minute unmoved, to get a nice sear on it. Stir the beef and continue cooking until done, just 2-3 more minutes. Reduce heat to medium and add the onion and peppers back to the skillet. Stir the sauce and add it to the skillet. Stir to combine all the ingredients and cook for about 2-3 minutes or until the sauce has thickened. Stir often. Remove from heat and garnish with sliced green onion and sesame seeds if desired. Nutritional Ratings do not include optional ingredients or garnish.